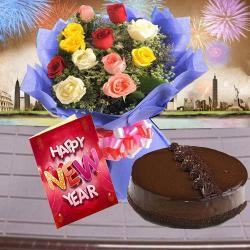 Product Consists : Bouquet of 15 Mix Color Roses with some fillers in a cellephone wrapping with a matching bow, 1/2 Kg Black Forest Round Shape Cake along with New Year Greeting Card. 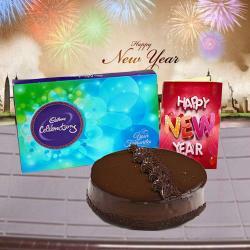 With goodness of lip smacking Black forest flavored Cake of half kg; this is remarkable hamper that includes 15 mixed color roses exquisitely wrapped in a bunch with a fancy ribbon and a beautiful New Year greeting Card that has heart touching message for your loved ones in it. 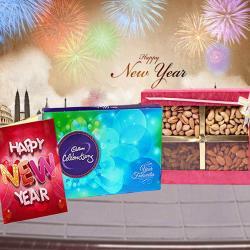 This mind blowing gift hamper has all the elements to bring smile on faces of those who are close to your heart. 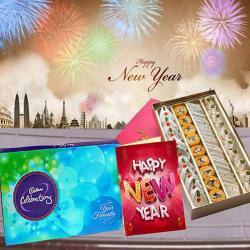 So send love from bottom of your heart to your dear ones by delighting them with this awesome New Year special gift hamper. 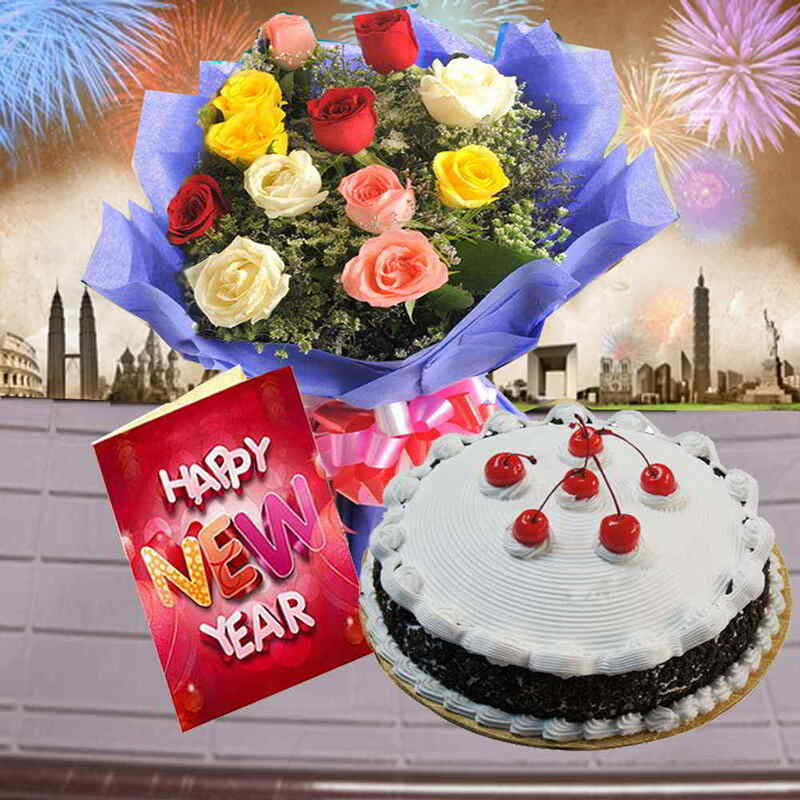 Product Consists : Bouquet of 15 Mix Color Roses with some fillers in a cellephone wrapping with a matching bow, 1/2 Kg Black Forest Round Shape Cake along with New Year Greeting Card.